Telford based Simmonds Transport delivers fully integrated logistics solutions tailored to the needs of its customers. Having evolved over the last 43 years from a small transport company into an integrated supply chain solutions provider, Simmonds is fast becoming recognised as one of the leading logistics providers in the market. 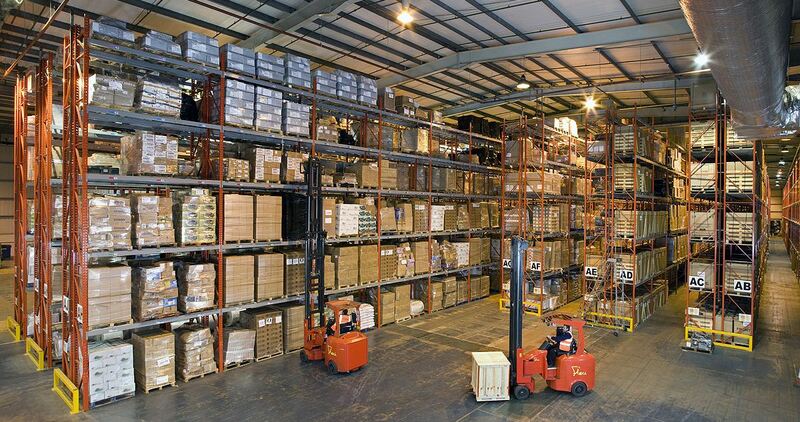 The new warehouse was fitted out with a block of Redirack racking 115 metres long by 30 metres wide. 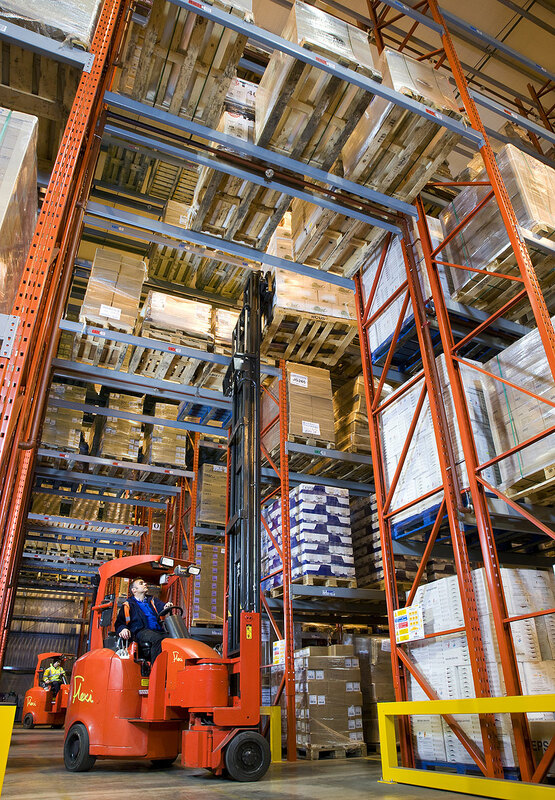 This system has six double runs and one single run of pallet racking. 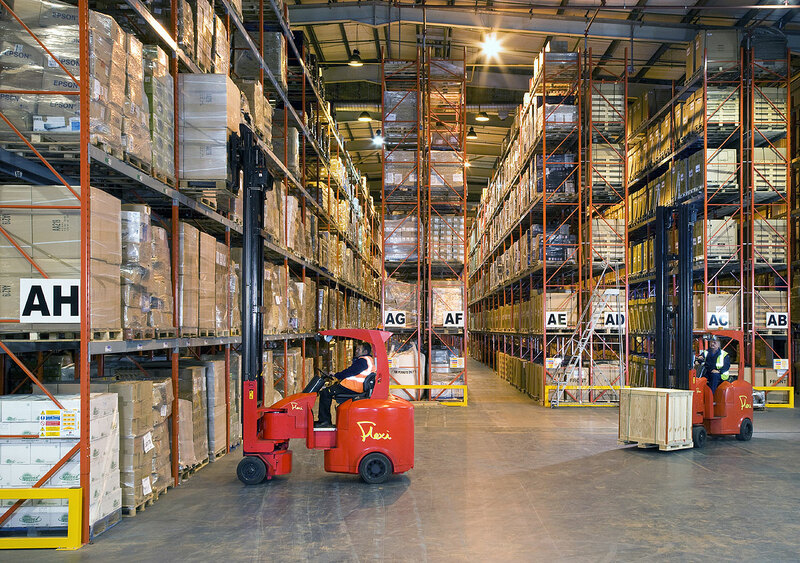 The aisles are 2150mm wide to suit the Narrow Aisle Flexi lift trucks that work in the warehouse. Within the storage system, beam spacing varies to accommodate different load heights. Full bays are 3400mm clear entry. They store three 1500mm high pallets on each of the upper three beam levels and three 1800mm high pallets on each of the lower two beam levels. Three pallets are stored on the floor in each bay to take the system’s total storage capacity to just over 7000 pallets. Traversing the system is a pedestrian and truck tunnel, and the racking is finished in a smart orange and grey colour combination. Rack end barriers at the exposed ends of each aisle provide protection for the racking. 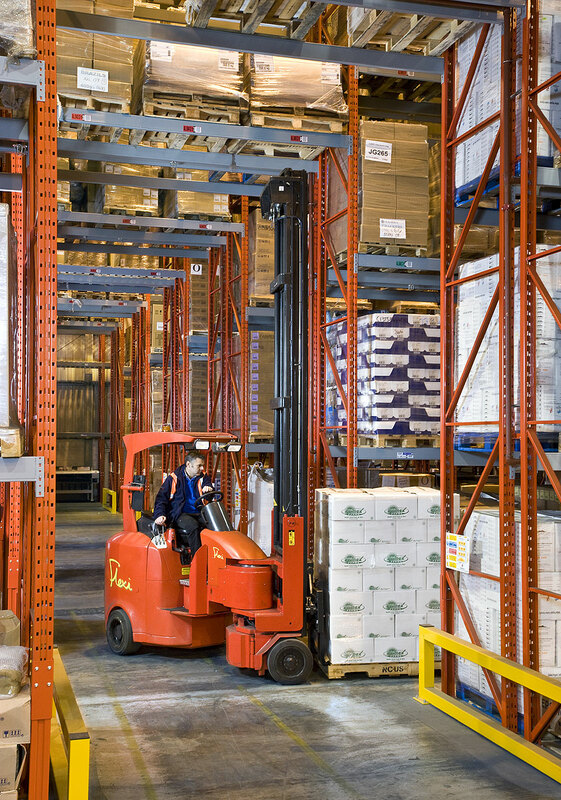 In the event of an upright being hit by a lift truck, the damage is quickly rectified because the unique Redirack sacrificial leg is used throughout the system. This easy to replace section, in the front upright of each frame, can be replaced in a fraction of the time it takes to change a damaged frame: And only racking local to the damaged frame need be unloaded.